He’s bucked his party as many times as he’s supported it. He’s a centrist Democrat in an ever-deepening red state. And he has an affinity for the middle ground. 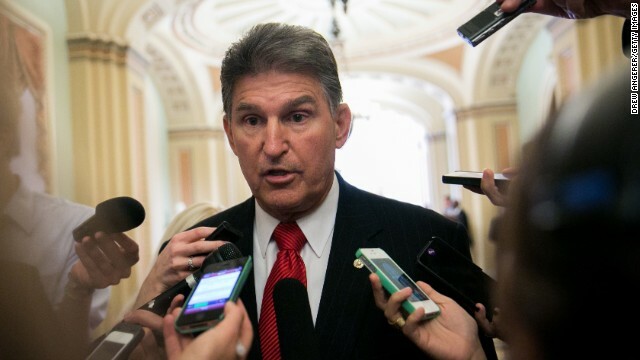 West Virginia Senator Joe Manchin sits down with Candy for an exclusive interview about getting a budget deal out of Congress, the future of ObamaCare, the chances of passing gun legislation in the next term and what he thinks of his party’s leadership in the Senate. Then, they’re the Young Turks in the House of Representatives – the Millennials who are tired of waiting their turn to take the reins of Congress. Meet the leaders of the Congressional Future Caucus – Hawaii Democrat Tulsi Gabbard and Illinois Republican Aaron Schock – and what they have in mind for getting things done on Capitol Hill. And, for the last minute shopper with a political junkie on their Christmas list – the members of our political roundtable are also best-selling authors of this year’s hottest political books. The Washington Post’s Dan Balz, New York Times’ Mark Leibovich, Mark Halperin of Time Magazine and CNN “Crossfire” host Newt Gingrich will look at the political landscape in 2013 and what it means for the midterm elections in 2014 and beyond. We’ll also be giving away autographed copies during the show. State of the Union airs Sunday at 9am and 12noon ET.